Canada's small and mid-sized companies must find ways to adapt to a "new norm" of worker shortages that will likely persist for a decade, says Pierre Cleroux, chief economist for the Business Development Bank of Canada. "They represent about 50 per cent of the Canadian economy. So they are very important. Also, they are very important in smaller communities," Cleroux said in an interview ahead of a report issued Wednesday by the federal Crown corporation. The BDC's survey of 1,208 people from small and medium-sized businesses, with at least $500,000 in annual sales, found 39 per cent of them were having difficulties hiring the types of new workers they required. The bank's report comes ahead of Statistics Canada's release on Friday of the labour force survey for the month of August. 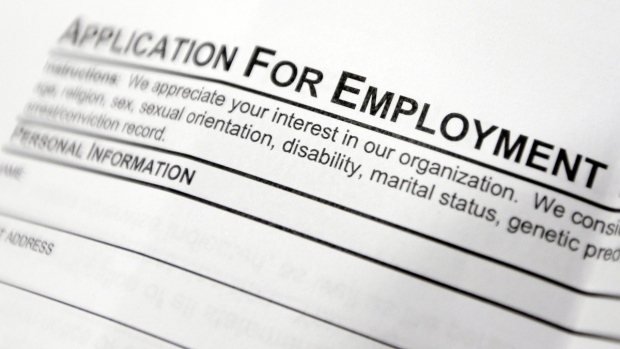 Last month, its national unemployment rate for July fell to a four-decade low of 5.8 per cent. A private-sector analysis from the Canadian Federation of Independent Business released last month also found its "job vacancy rate" hit 3.1 per cent in the second quarter -- a new high for a statistic calculated since 2004. Cleroux says the recent strength of the economy is one reason for the trend but the bigger issue is that the supply of younger workers is barely keeping up with the number of older people who are retiring. "A lot of people think this is only temporary," Cleroux said. "Unfortunately this is not the case and it's important to understand that, because they have to change the way they manage their human resources." "Because this is a new normal. If you think this is temporary, you will take temporary measures -- which is the wrong way to approach this issue." The strategies will vary depending on factors such as location and the number of employees in the company, he said, but noted that businesses would benefit from doing more to promote their corporate image through social media. "Most people have a choice when they're looking for a job," Cleroux said. "So if your company is small, it might be a bit more difficult to attract people unless you position your company in a better way." Only 24 per cent of the respondents to the BDC's telephone survey, conducted by Maru/Matchbox between April 30 and May 11, said they were investing more to improve their image. By contrast, 35 per cent said their business was changing compensation policies in response to labour shortage, 40 per cent were hiring younger employees and 43 per cent indicated they were hiring less-qualified workers. Other strategies cited were: recruiting retired workers (33 per cent), using employment agencies (22 per cent) and recruiting immigrants (18 per cent). CFIB chief economist Ted Mallett said in an interview that the 110,000-member organization's analysis shows businesses who report labour shortages tend to plan for higher wage settings. Wage growth is projected at 2.8 per cent for those with vacancies, compared with 1.9 per cent that don't have vacancies, he said. "So they are responding on the price side but that won't solve the issue for everybody," Mallett said. Some businesses have responded by hiring fewer but more highly skilled employees while others have turned to increased automation. But Mallett also noted that companies based in small towns or rural areas tend to have some extra difficulties. "You know, if there are more opportunities showing up in those areas, it's tougher for other small competing businesses to continue to find their labour force." BDC -- which specializes in financing solutions such as commercial lending and venture capital for startups -- says the labour shortage is hampering Canada's economic competitiveness. "Specifically, our statistical analysis shows that firms that are more affected by labour shortages are 65 per cent more likely to be low-growth companies," the 27-page report says. The shortage was most acute with companies with from 10 to 99 employees, where more than half of respondents indicated it was "difficult to hire" new workers and less than a one-quarter said it was "easy to hire."